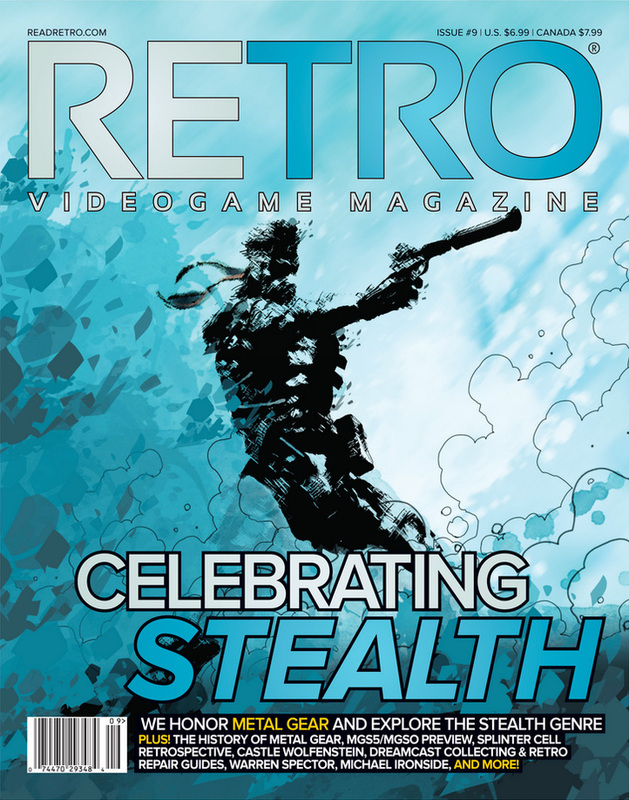 We’re getting sneaky in this edition of RETRO Videogame Magazine as we honor the Metal Gear franchise and explore the history of stealth gaming. From our in-depth look at the long-running Metal Gear franchise to our analysis of the future of stealth, this issue is jam-packed with everything a stealth fan could want including looks at classic titles Castle Wolfenstine, Thief: The Dark Project, Deus Ex, Tenchu: Stealth Assassins, and many more! Plus, we interview Warren Spector, provide the ultimate retro game repair guide, and examine the plausibility of stealth gaming mechanics in real life! Metal Gear Informer members can get 50% off when downloading the magazine, which means you can buy it for $1.50 instead of the usual $3. Use the discount code MGINFORMER to claim your discount. If you rather have a print copy, you can get a discount as well ($5 instead of $7). In this case you can use the code MGINFORMERPRINT. The offer is valid until September 1st, the day MGSV: The Phantom Pain releases.